THE enthusiasm with which employers first embraced the Wage Credit Scheme, introduced in this year's Budget, might fade with time, a new survey suggests. 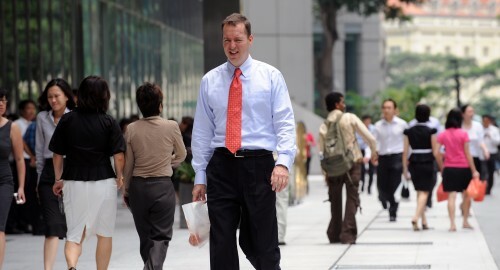 Many bosses are concerned that the three-year scheme, under which the Government co- funds wage increases for Singapore workers earning up to $4,000 monthly, will ultimately raise their labour costs. In the poll by consulting firm Towers Watson, 60 per cent of the 103 respondents said they would be either in favour or somewhat in favour of the scheme over the next 12 months. When asked how they would feel about the scheme beyond that period, the proportion of those in favour fell to 50 per cent. Five per cent of the companies polled said they were not in favour of the scheme, even in the short term. The figure rose to 15 per cent when they were asked about the longer term. The No. 1 cause of concern among those who were downbeat about the scheme was that their labour costs would rise. Such worries have been raised before. At a post-Budget convention in March organised by the Association of Small and Medium Enterprises, several companies said they doubted whether they could sustain the higher wages if the scheme is not renewed beyond 2015. Towers Watson said one solution would be to raise bonuses instead of salaries, given the structure of the scheme. "As the wage credits are applicable to the increase in employees' gross monthly wages, inclusive of allowances and bonuses, organisations can consider rewarding through other forms of total rewards, such as additional allowances or bonuses, during the three-year period without increasing long-term fixed labour costs." The survey respondents said they were also concerned that employees' salaries could become over-inflated and that they might have to adjust their salary structures as the scheme could lead to distortions. In addition, the study found that the scheme had not prompted many companies to give better wage increments to staff than they had originally planned. When asked whether they would adjust their compensation plans because of the scheme, only 9 per cent said they would increase their basic salary budget. Half said they would not change it. The scheme has had even less of an impact on companies' plans for bonuses and allowances - only 3 per cent of those polled said they would raise guaranteed bonuses, 2 per cent said they would hike allowances and 5 per cent said they would increase variable bonuses.